Growing up as an Indian American, it was very important to my family that I didn’t forget my Indian culture. I had a strong a community to lean on and my cultural traditions are very close to my heart. I quickly learned from my family and role models that tradition matters. It brings us a sense of comfort. It also brings people together. Today, I wear my Indian heritage with pride everywhere I go, which includes my business, Masala Bhangra. I want everyone I meet and invite into my life to experience a piece of Indian culture. One way I love to do this, other than Indian dance, is through food. Whether I’m curled up with a cup of chai and watching a Bollywood movie or having snacks with friends, Indian food brings together a loving, supportive community. Food tells us so much about our cultures. For me, it’s warm feelings and good memories with the people I love most. It’s also about meeting new people. If you’re ever invited to my house for dinner, I will welcome you with food. You will definitely leave happy and with a full belly. Here are some popular staples in the North Indian culture that’ll never go out of style. Whether it’s morning, afternoon or evening, it’s always a good time for chai. It’s normal to offer chai to anyone who stops by in the Indian culture. It’s a symbol of warmth and welcome. I especially love to have a nice cup of chai during cold winter months. 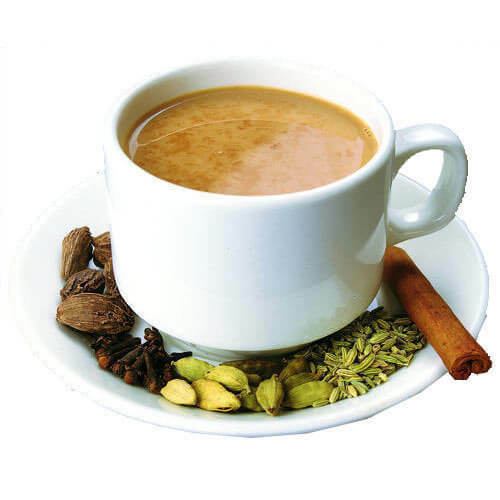 There are many ways to make masala chai, but traditionally it’s made up of milk and a blend of spices such as cardamom and ginger. Other delicious ingredients include cinnamon stick, fennel seeds, black peppercorns, and nutmeg. Go to any Indian restaurant, and you’ll see paneer on the menu! 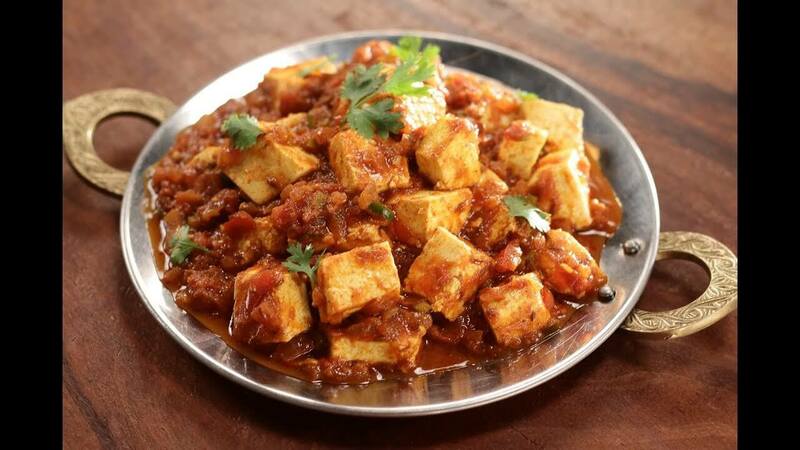 Paneer is a common cheese dish, which can work as a main dish. You’ll need a gravy base for the panner. With the gravy, the dish will be called kadai paneer and it’ll normally consist of cashews, onions, tomatoes, garlic, chill powder, garam masala, fenugreek leaves, and salt. Then toss cubed panner into the gravy as needed! This dish will never go out of style and it’s one of my favorite Indian treats. This next item is like a party in your mouth! These green chili pickles are perfect to bring to a potluck or serve them at a dinner party. I love how all of the flavors blend together and this classic food item works perfectly as a snack or an appetizer. 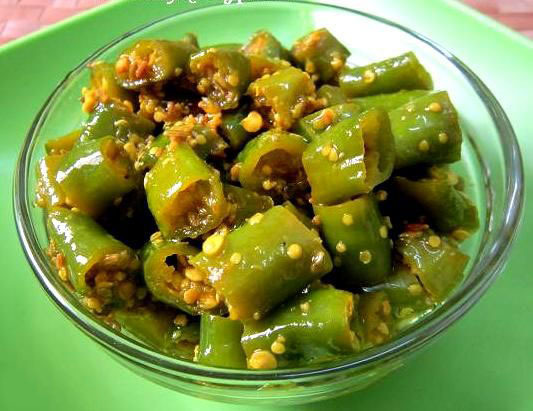 Mirch ka Achar is traditionally made with green chilies, turmeric powder, asafoetida, mustard oil, vinegar, salt, and a variety of seeds (fennel, fenugreek, cumin, and mustard). It’s quick, easy and delicious! This spicy rice dish is always a popular Indian staple during meals, especially at my house. 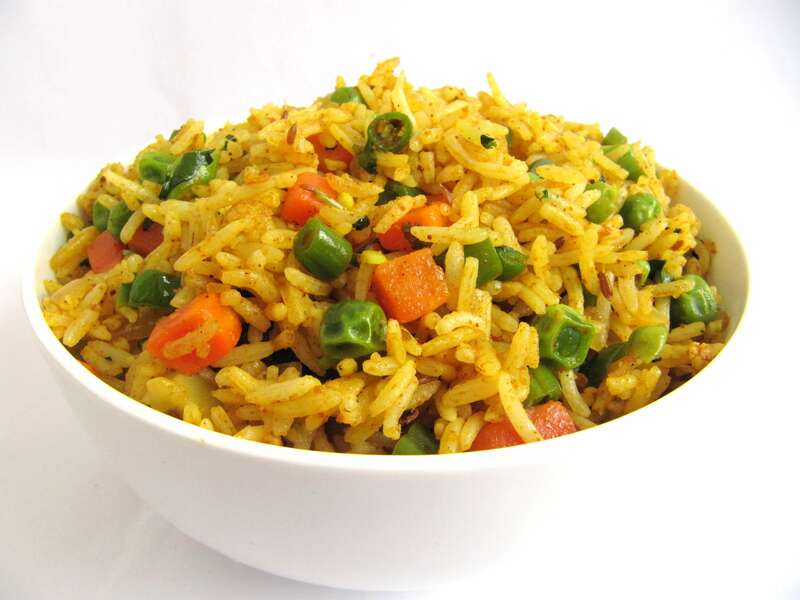 Rice pulao is a delicious blend of rice pilaf cooked with mild spices, herbs, and veggies. Traditionally, you can make the rice in one pot, then add any kind of vegetables such as carrots and fried onion. You can also include nuts such as cashews. Add paneer for added flavor! This accompanies any Indian dinner. It’s a great side dish or works as a meal, too. Perfect for dinner parties or potlucks! 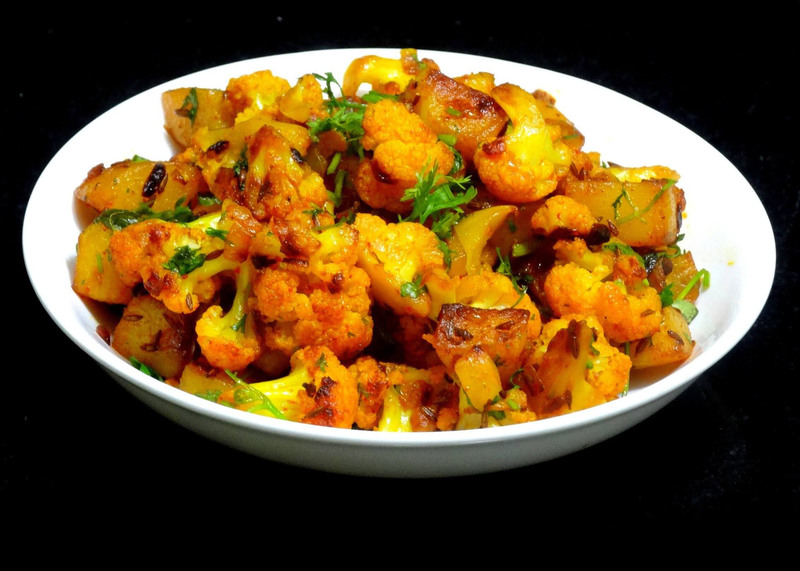 This a classic vegetarian Indian dish made of spiced potatoes and cauliflower. Add on fun flavors like ginger, garlic, onions, cumin, black mustard seed, and salt. You can also add peas, curry, and coconut milk. You’ll have yourself an irresistible meal! This hearty Indian dish is so good, my mouth is watering just typing this! Sweets are very popular in my culture and way to show love. 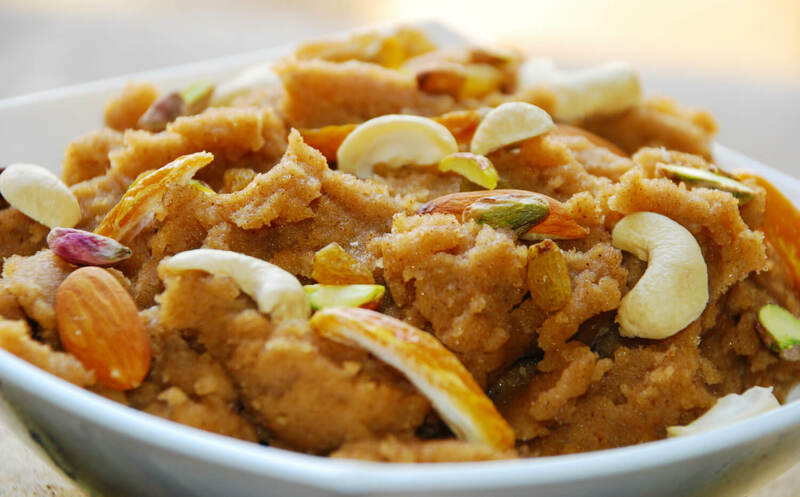 One sweet that’ll never go out of style is badam ka halwa. This is a delicious Indian treat and perfect for any kind of celebration! It’s made up of sugar, ghee, milk, and almonds. Anyone with a sweet tooth will love this treat! It’s perfect for an after dinner treat or for special occasions such as birthdays! A strong, supportive community is so important to have in life with family and friends. Masala Bhangra, like the delicious Indian food that brings people together, creates a community of new friendships and a supportive team for motivation and accountability. One of my favorite activities is to teach live classes. When I look out into the class and I see that one person who finally gets a move right after trying for weeks, it just warm my heart! I hope this post made you hungry because I’m starving! The next time you have someone over, offer them one these special treats! Cheers to a strong, supportive community. Belle! Belle! What traditional food is a part of your culture? Share them with me in the comments! Sarina is so right about the wonderful India traditions that are passed on to new generations in the hope of maintaining the rich culture that defines the Sub-Continent. As and American, I have the great privilege for the last ten years of living in Ranchi, India. I certainly have learned much, but everyday brings new experiences and new challenges. Masala Bhangra is a terrific way for me to have some understanding of the heart and soul that is India !! Belle ! Belle ! Lemon rice is a traditional item in all South Indian Festivals. I learned to make it from my mother a long time ago and made it all my gatherings wherever I was in the world. It is always a guest pleaser.